Can't say u will never have a leak. It matter of time when working with water. Why not kmow when it happens as it happening. I added two of these to the ALD system. They work great. I will point out during testing of the sensors you have to leave the damp cloth on them continuously to stay triggered. I was just quickly wiping the sensor expecting it to trigger. Either I did not have the cloth wet enough or the sensor was drying to quickly. But as soon as I left the cloth on the sensor it tripped. If you are reading these reviews you must be debating whether or not to purchase some of these sensors. When i first saw the price of these things i said to myself WOW these are super expensive! Are they worth it? Well, i ended up purchasing 4 of them and sleeping better at night. I know what you are thinking, so what made me purchase them? Well, let me tell you, hold your horsie. A week ago my skimmer went haywire and water overflowed out of the collection cup. My skimmer collection cup was sticking over the side of my sump and the water was everywhere. The damage was not that bad, i had a water bug sensor that went off in the middle of the night. Since we normally don't check what is going on in our tank stands all the time there could be a water leak going on for days. So take my advice, purchase a couple of them. $100 to pay now for these can save you thousands in water damage. I can't believe how sensitive these sensor are! Works better than I thought! Durable. Detects water every time. Plain and simple a must have if you want to prevent water on your floor. After my overflow failed and my dart pumped 30G of water onto my floor I realized that could never, ever happen again. So I bought the ALD module for my Apex and it's awesome! I wrote a simple program to kill my sump, skimmer and chiller if the ALD switch triggers. For a dry run (ha!) test I poured about a tablespoon of water on the floor of my cabinet and the ALD caught it immediately and shut everything down as well as generating an alarm. I have no worries about flooding anymore. Like the LD module it just works. Now I just need to buy at least one more. If you've ever seen just a few gallons of water spread out across the floor, then you know what a nightmare a large flood can be. I currently have (x2) ALD modules on my Apex with 2 Solid Surface Probes on each (x4). Having them spread out, and in strategic locations, I can tell where the water on the floor is coming from based upon which probe sends the alert first. Having it laid out this way gives me a good idea of which device is failing, allowing me to remotely turn off the outlet of the suspected piece of equipment, preventing more water from leaking. 1. What is the dimension of the actual module? 2. Is the module adhesive mounted? Great question! 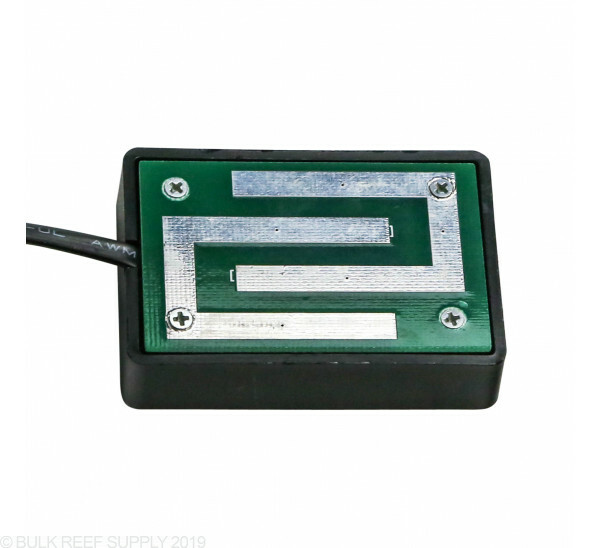 The dimensions on this module are 2.5"L x .75"W x 1.75"H . They do not come with any sort of adhesive bottom and are placed directly on the desired surface. 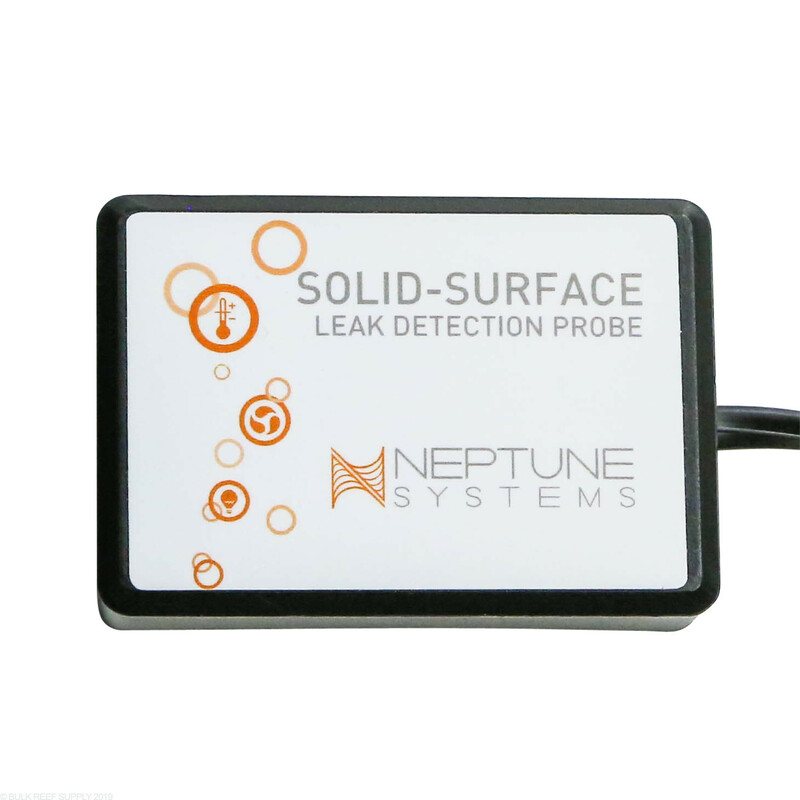 How long are the cords on this leak detector and the low profile one? These will come with 8 foot cords attached. Feel free to let us know if you have any further questions! Will this work with my Apex Jr? The cord is not USB, so do I need to buy another module? 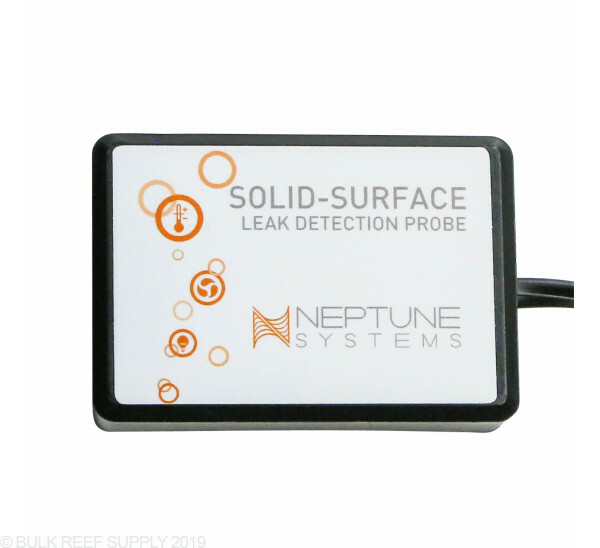 The leak detection probes will work with all models of Apex including the Jr, but they will all require the ALD module to function, and then the probes are plugged into the ALD. 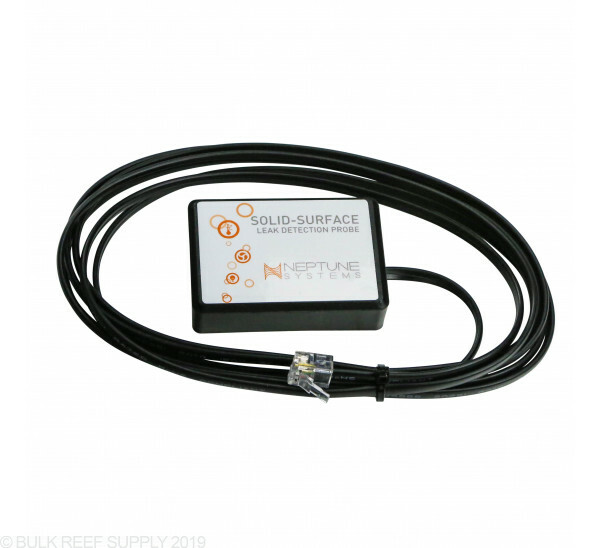 This is used to sense if any water is on the floor and will not work in the sump. 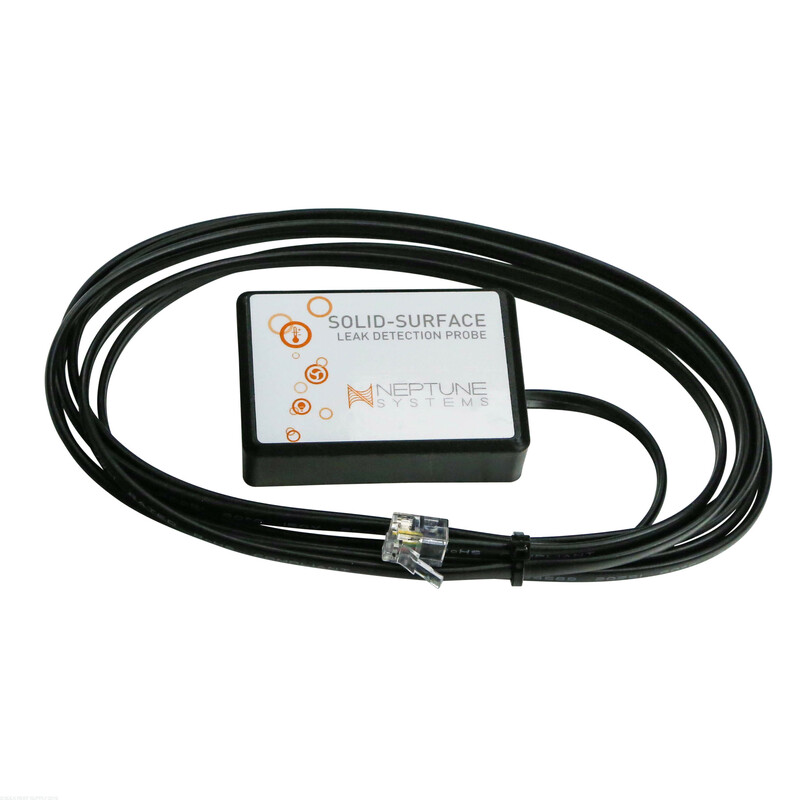 There is an alternative which is the Neptune Systems Breakout Box and a standard float switch. 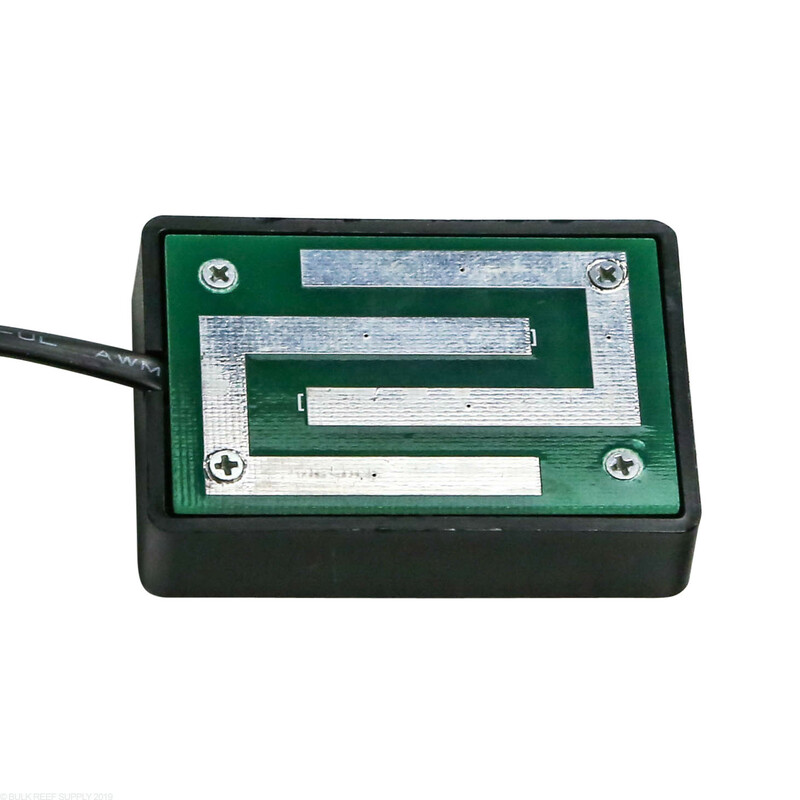 This could sense is the float switch is triggered or not. Feel free to let us know if you have any further questions! You can definitely do that. One of the great things about the Apex is that it gives you the ability to not only monitor and get alerts about sensor inputs, but you can program each outlet to take action for you based on any of the sensor inputs as well as sending you text/email alerts if your Apex is connected to the internet.